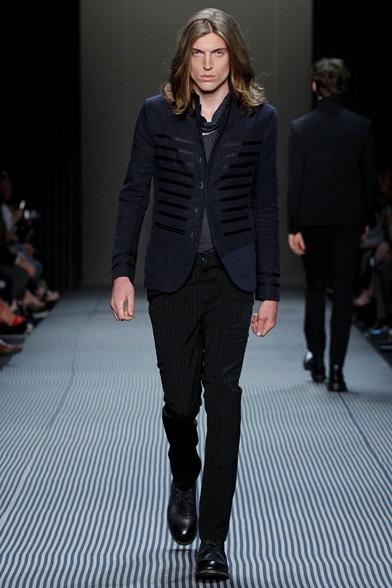 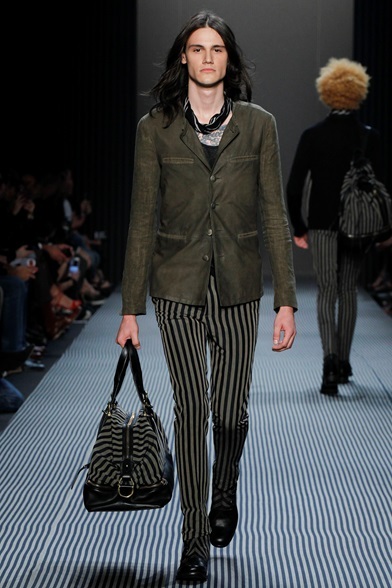 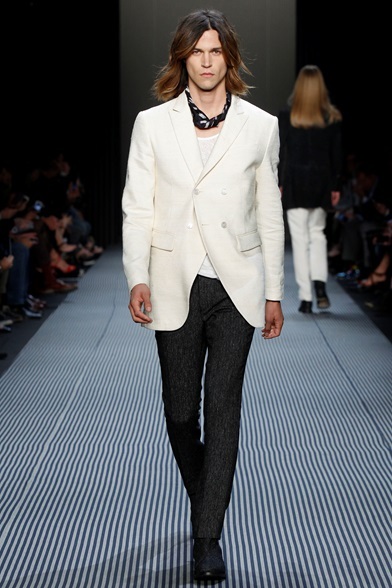 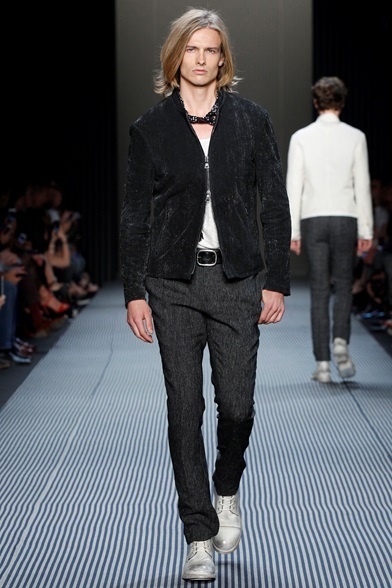 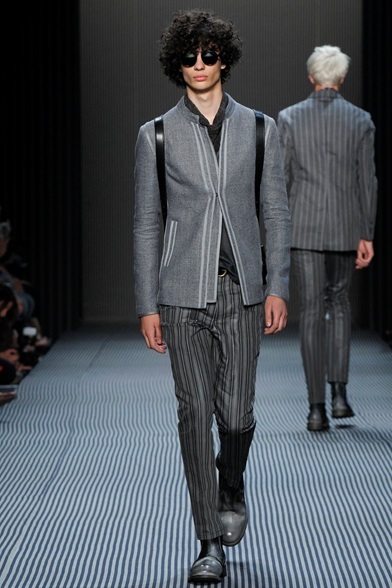 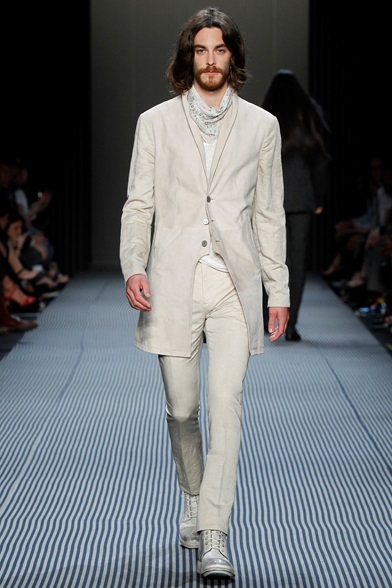 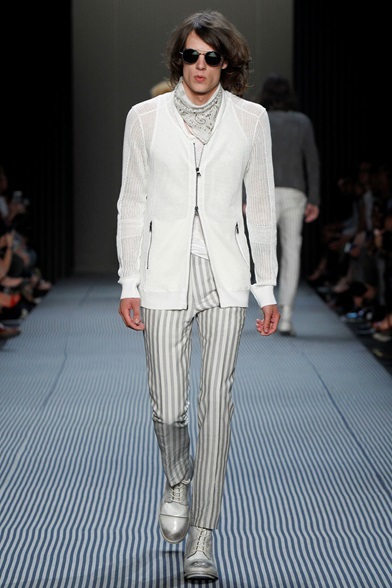 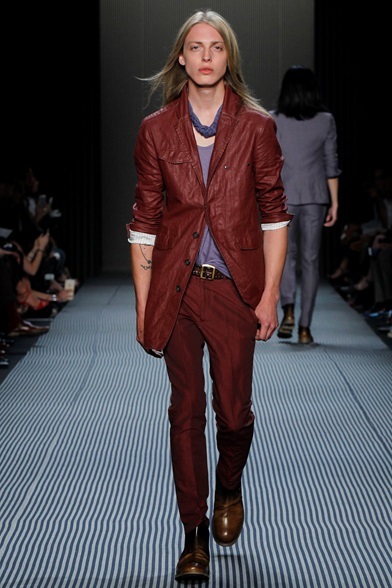 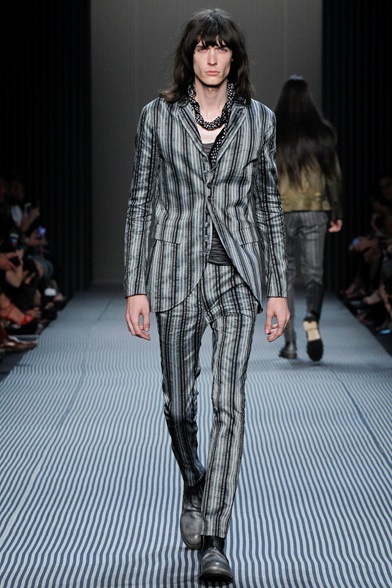 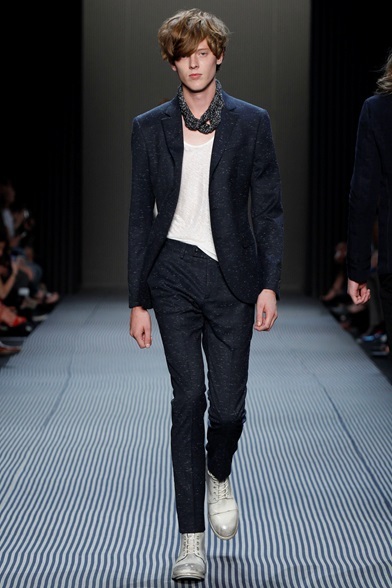 John Varvatos has been the rockiest this Spring-Summer show. 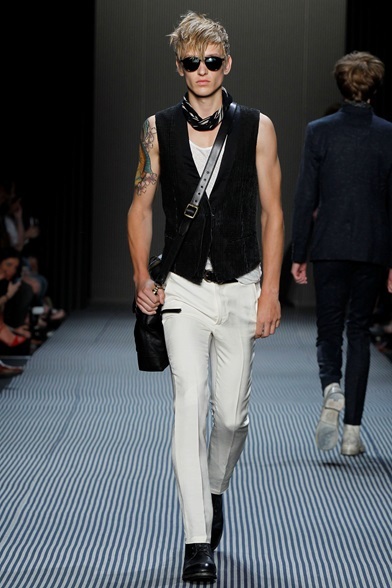 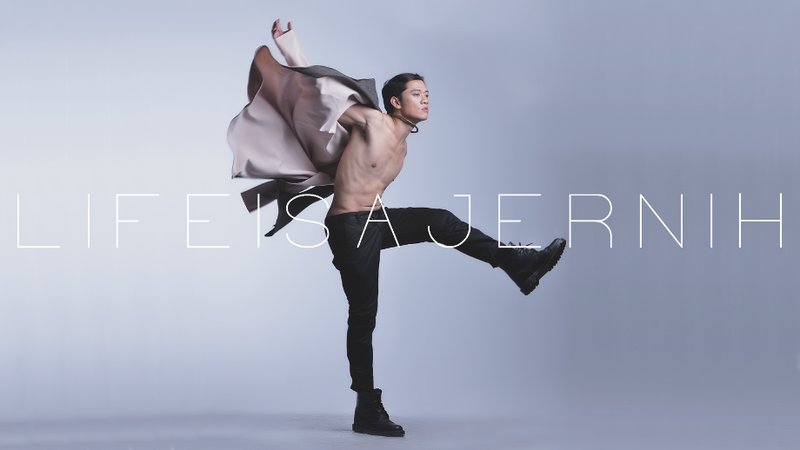 His collection was full of that Rock Star attitude ready for a head bang. 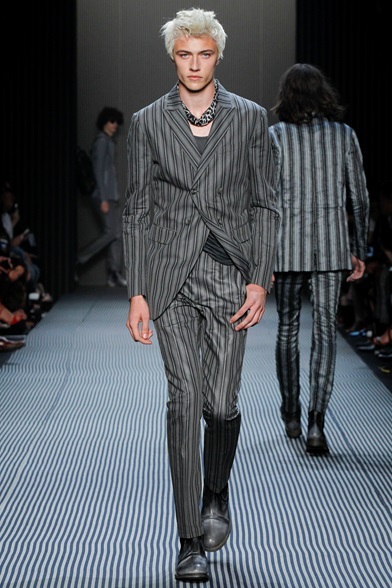 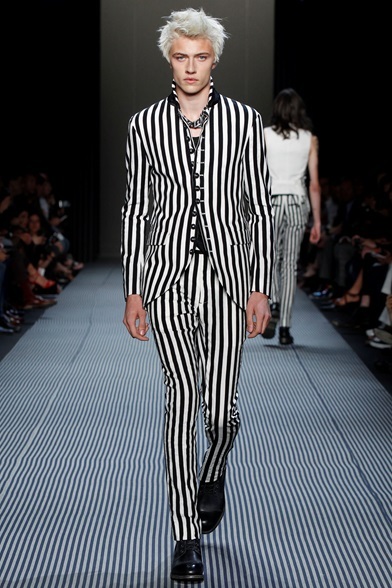 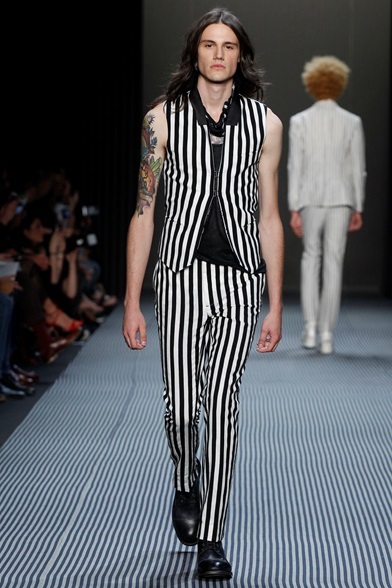 The striped coats and pants, finished with slim neckerchief around the neck were just effin' hot. 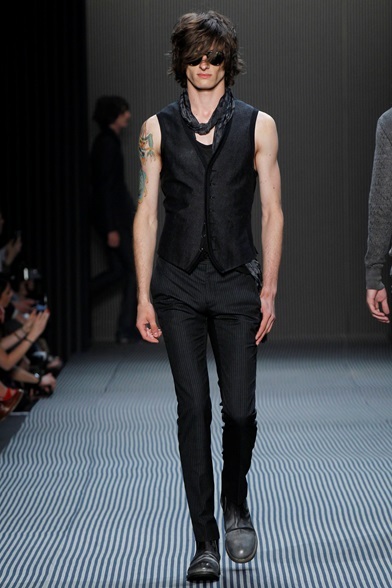 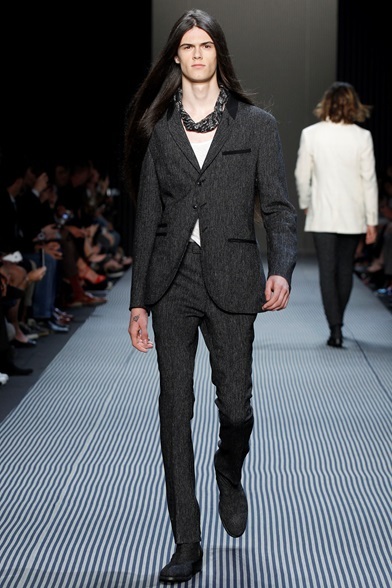 The pieces were show-ready and if you want to rule the night out, you should opt for these Varvatos'.